Luke Freeman nets late leveller to salvage a point for the R's. After a frantic start, the hosts took the lead through Will Vaulks on six minutes but Rangers responded through Nahki Wells on 12 minutes. Steve McClaren made one change from the side that drew 2-2 at Stoke City on Saturday, bringing in Geoff Cameron at the expense of Jordan Cousins. It meant the R’s lined up with a typically familiar look to it – Joe Lumley started between the posts behind a back four of, from left to right, Jake Bidwell, Joel Lynch, Toni Leistner and Angel Rangel. Mass Luongo partnered Cameron in front of the backline while Luke Freeman began on the left, Ebere Eze in the centre and Pawel Wszolek on the right, behind Nahki Wells in attack. Midfielder Cameron couldn’t feature at the weekend for the R’s against his parent club, while tonight it was Ryan Manning who had to sit out for Rotherham owing to the same reason. 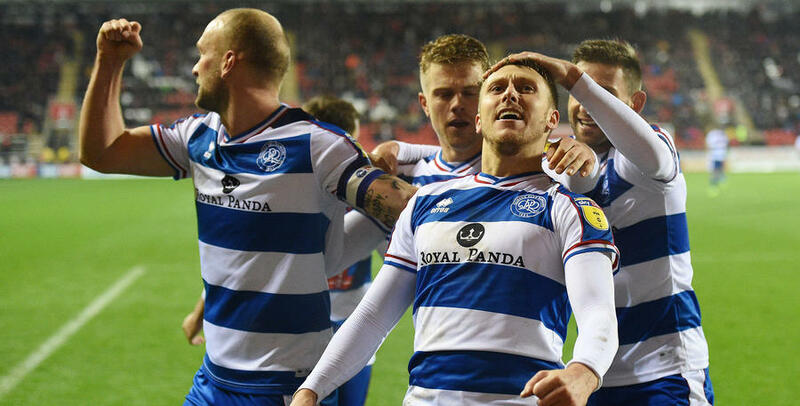 While QPR were a team high on confidence heading into this fixture – they had amassed 27 points from their previous 14 fixtures – they were visiting a Rotherham team who had their own reasons for optimism. The Millers had only lost once at home in the league this season and picked up 16 points from their nine league fixtures at the New York Stadium. Following promotion from League One in the summer, they were certainly making this part of south Yorkshire a tough hunting ground for Championship opposition. And they underlined that point within six minutes with a stunning goal from Will Vaulks, who found space on the edge of the box and drilled the ball beyond Lumley to give the hosts the perfect start. After a scrappy beginning to the game, it was a moment of real quality. But McClaren has spoken glowingly in recent weeks about the strength of character of his team and their ability to react to difficult situations, and they did it again. Wells, who had tested goalkeeper Marek Rodak moments earlier with a close-range effort, got in behind the Rotherham backline on 12 minutes and drilled the ball beyond the home keeper from five yards out to level the game. But they were only level for three minutes as the hosts quickly regained the lead. Clark Robertson rose highest to head a looping effort beyond Lumley. Having quickly got back on level terms, the goal will no doubt have frustrated R’s boss McClaren. Rotherham enjoyed a period of sustained pressure in the QPR half following their second goal, as the visitors battled to stay in the game. But Rangers gradually worked their way back into this match and on 30 minutes Freeman’s cross from the left was met by Wells, but his header drifted just wide of the upright. The opening half was broken up by a series of niggly fouls, and right at the end of the first 45 Rangers were awarded a set-piece from 20 yards. Eze stepped up but his effort cannoned off the wall and was cleared as the hosts held on for a deserved half-time lead. After the break, Cameron played a neat ball into Wszolek who had got behind the Rotherham backline, but the Pole’s turn and shot drifted wide from 12 yards. And on 68 minutes Wszolek had an incredible change to level matters when Freeman’s perfectly flighted ball found him in space eight yards from goal but he was unable to get the vital touch and the ball bounced agonisingly wide of the far post. McClaren made a change moments later, with Tomer Hemed coming on for the hard-working Wszolek as the R’s boss change the shape of his side. And Hemed was next to go close for Rangers. Following a goalmouth scramble, the Israeli toe-poked goalwards but Rodak was able to deal with the danger. McClaren then made a double change, bringing on Josh Scowen and Matt Smith for Luongo and Wells. The R’s switched to a diamond, with Cameron at the base behind Freeman and Scowen, with Eze at the top behind Smith and Hemed. At the other end of the pitch, Semi Ajayi went close from distance for the hosts. On 82 minutes, Freeman forced a stunning save from Rodak as the R’s pushed for a leveller. It was a brilliant move, teed up by Hemed, which was matched by an equally good save. And 60 seconds later Rodak pulled off an even better stop to deny what would have been the goal of the night from Eze, who hit the ball on the volley after setting himself up on the edge of the box. On 87 minutes QPR created another opening, this time Smith flicked into the path of Scowen but the midfielder’s attempted half-volley ran into the grateful arms of the home keeper. But on 90 minutes, Rangers finally got themselves back on level terms with an incredible diving header from Freeman at the near post, getting on the end of Bidwell’s wicked delivery. It was no less than the R’s deserved after knocking on the door for the final ten minutes. But Rangers still had to be alert and Lumley pulled off a great save in injury time to ensure a share of the spoils. 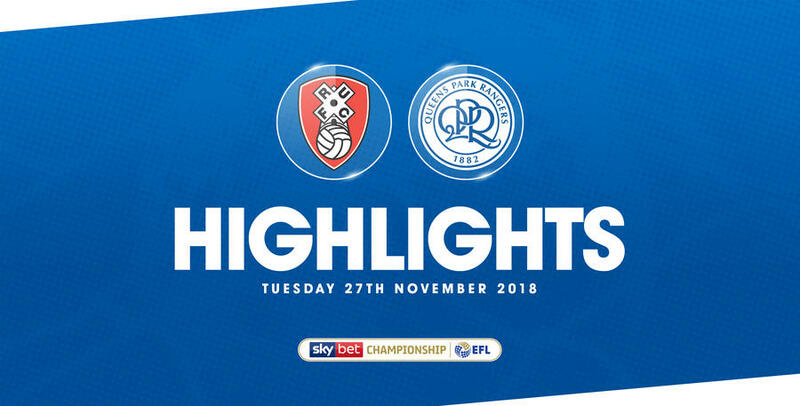 WATCH highlights from QPR's 2-2 draw with Rotherham United at the New York Stadium.